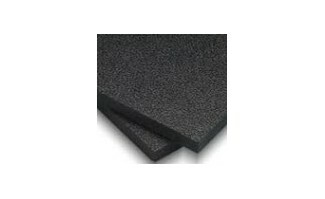 General Purpose ABS plastic sheet is offered in a wide range colors & grades. Sheets are produced in monolayer and co-extruded multilayers. Combinations of 100% customer color virgin, virgin cap/utility base, low gloss (matte) cap/utility base, and custom color cap/utility base are available. Typical applications for ABS sheet include formed tub/shower enclosures, boat accessories, automotive trim parts, and computer housings.